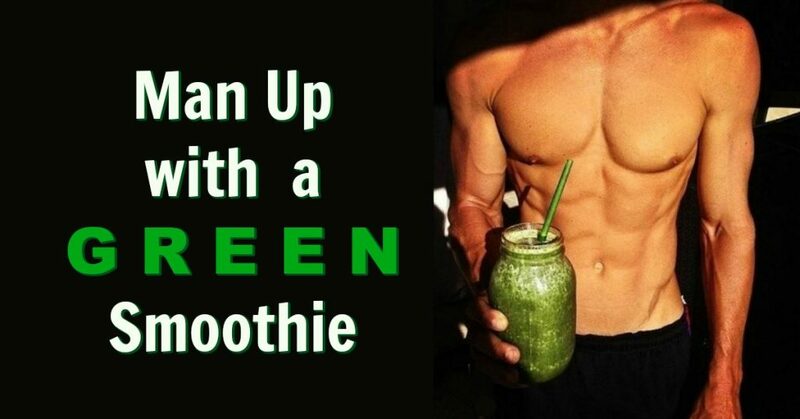 A daily green smoothie can help a man achieve his nutritional and fitness goals more easily. In the Iron Man films, you can witness character Tony Stark is in his laboratory, working on his metal suit as he imbibes on a green drink. Yes, Iron Man drinks the green stuff, too. Over the last several years I’ve had significant, positive results by adding a freshly made green smoothie – or two – to my daily diet. You might have heard lately people talking about “green smoothies” and wondering: what is a green smoothie? A green smoothie is a freshly made, blended meal that you drink like a milkshake. It’s made from mostly raw living plant foods such as dark leafy green vegetables, nuts, seeds, and fruit. When made correctly, the taste and texture of a green smoothie make it highly enjoyable. More importantly, however, is that green smoothies give you a sustained, alkalinizing energy that helps you to feel more capable and youthful. Are dark leafy greens the ultimate, natural anti-toxin? When asked what he is drinking, in the film Tony Stark calls it “chlorophyll,” which is the green pigment found in almost all plants – so he’s just giving his particular blend of green drink a cool, nerdy name. From a health point of view, it’s refreshing to see a comic movie hero get his life-saving powers from a green drink (as well as his metal suit). Part of the movie’s plot involved Stark being slowly poisoned by the radioactive device that keeps his heart alive – the machine increases his blood toxicity. In a way, all green smoothies are taking on the same fight – battling off the everyday irritants and toxins from daily environmental pollution, or processed and packaged food. Armed with antioxidants, a daily green smoothie can be a powerful weapon in the fight against premature aging. It turns out, green smoothies taste a whole lot better than they look. In fact, they can taste fantastic. You don’t often taste the vegetables in the smoothie at all, except as accent flavors that give the drink an appetizing edge. It’s all about the ratio of ingredients and discovering what fruits complement what vegetables, so that the fruit becomes the predominant flavor. However, the trick is to use only enough fruit to enhance flavor without overdoing fructose – the sugar-carbohydrate within fruits. basically, any vegetable that’s green. It’s great to see green drinks getting attention, or at least acknowledgment, in the mainstream media. Not many other superheroes set as good an example as Iron Man. Sure, Superman is powered by our yellow sun and I suppose you could argue his powers come from an ample dose of vitamin D.
Popeye never claims to be a hero, he instead reminds us that “he is what he is.” He puts off fighting danger until the last minute, and then – when he really requires ultimate potency – he turns to his spinach. If Popeye knew about green smoothies, he probably would have opted for this easier and more delicious alternative, to simply toss some greens into the blender each morning. 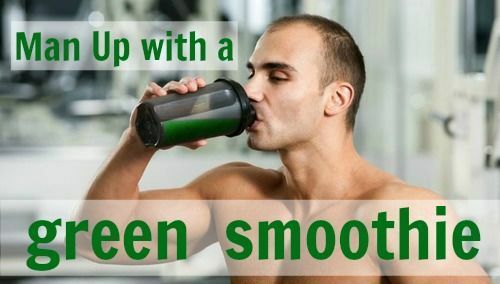 When people – men in particular – first hear about green smoothies, they tend to be naturally skeptical. In my opinion, we live in an increasingly estrogenic, stressful world that can wreak havoc on a man’s metabolism, testosterone levels, and vitality. The end result – especially for those of us men who are over age 50 – are lethargy, puffy faces, bloated midsections, and a general lack of go-get-em. It’s an interesting time to help people become healthier because people, on average, have never been less healthy and yet they’ve never known more about health. Brains are full of information but we’re not actually implementing it regularly. Ask anyone if they think they’re living more healthy than the average American and they will answer “yes,” but, in reality, less than 3% of Americans are minimally healthy. When I tell people about the power of freshly green smoothies, often I think they’re listening to me but they’re not hearing me. To me, it feels like I’m handing them keys to a mansion, but they don’t realize it because all they choose to see is a small piece of rusted metal. We need to live more naturally. It is unhealthy for a man’s testosterone to get too low, so any natural methods that can help combat that – even indirectly – might be worth exploring. Also, I am convinced (as are others) that aspects of the standard modern diet force our bodies to create subcutaneous and visceral belly fat in an attempt to “pad” our vital organs against toxic influences. Fresh, well-made green smoothies have reduced my own waistline considerably. cancer cells can feed on carbohydrates (particularly simple sugars) and excess protein; cancer cells appear unable to feed themselves on ketones – the caloric energy from healthy fats. an anti-inflammatory diet is even more about what you don’t eat than what you do eat. the quantity and quality of daily calories matter; most people underestimate the quantity and overestimate the quality; the ratio of macronutrients (daily grams of fat, carbs, and protein consumed) also matter. Basically, the longer you make green smoothies, the better you get at making them. At first, you might make a few weird batches, but over time – and with a sense of adventure and humor – you’ll find that you become an expert at using your blender to make fresh green shakes that will keep your body strong and your taste buds happy. 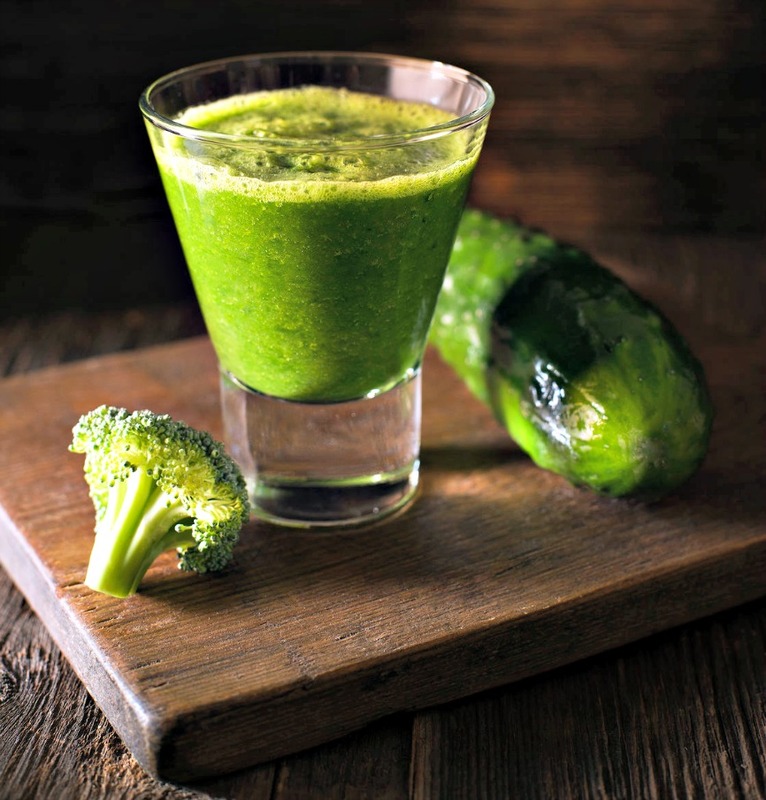 Newcomers to healthy eating are often dubious about drinking anything that is the color green, which is understandable. Allow your palate time to acclimate from the standard modern diet (salty, refined sugars, trans fats, processed grains) to healthier eating. The taste buds and psyche need time to gradually transition from unhealthy, factory ingredients to healthier, “primal” ones. Sometimes I will have a raw egg yolk in my green smoothie. Nutritional expert Dave Asprey has explained that it’s statistically rare (1 out of every 45,000) for an egg to have salmonella, and even then it’s usually on the outside shell. I use organic, free range eggs – and I wash the shell of the egg, and my hands, carefully. The color of the smoothie depends on what superfoods and fruits you use, and in what amounts. A smoothie can be dark green, light green, purple or red. If you mix different color fruits you might end up with brown — which tastes fine, though it looks a bit odd. We hear about them often in the media, but what are antioxidants and why do they matter so much? Oxidative stress is believed to be an integral part of many human diseases, and antioxidants are one solution to oxidative stress. Are you getting enough antioxidants in your daily diet? Your body is made of tissue and your tissue is made of cells. 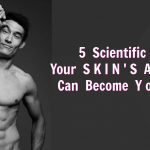 The way to reduce the risk of accelerated aging and to improve your health, mood, and appearance to optimize cellular health. Antioxidants are a nutritional compound – present in certain plant foods – that have an uncanny ability to assist our bodies in feeling vital. Antioxidants can prevent, or halt, the damage that reactive compounds are doing inside of our bodies. A small percentage of the oxygen we breathe is converted into reactive compounds. These compounds can cause damage to our bodies at a cellular level. Our bodies use the oxygen in the air we breathe to help create the energy we need in our daily lives. The O2 we breathe in is then converted to H2O and CO2. These are easily discarded by our bodies. But for that O2 that gets caught inside, antioxidants can effectively neutralize those reactive compounds that might result. Antioxidants protect our cells’ ability to accurately reproduce themselves. This is key. When your body recreates and replaces a particular cell, it’s not quite as effective as it was the time before. That’s part of what “aging” is. The cell loses a bit of its luster and perfection. Antioxidants help prevent cell damage from oxidants, by stopping those free radical chain reactions at their source. Insufficient levels of antioxidants in a human body can create an environment in which disease can flourish. One of the reasons that raw food enthusiasts believe so passionately in uncooked food is that there are often more antioxidant enzymes and vitamins present in their most natural state (as opposed to synthetic supplements) accompanied with that dietary fiber that the body also loves. All of these high-antioxidant ingredients listed above can be used in freshly prepared smoothies. When it comes to smoothie-making there is one simple rule by which all smoothies abide: a good smoothie requires a good blender. What type of blender should you get to complement your new healthier lifestyle? A smoothie needs to be smooth – I mean, come on, it’s in the name. To help make that smooth, rich, milkshake-like texture happen, you’ll need to invest in a good quality blender. If you already have a blender, then that’s cool, you can carry on if it suits your needs, especially when first starting out with smoothie-making. 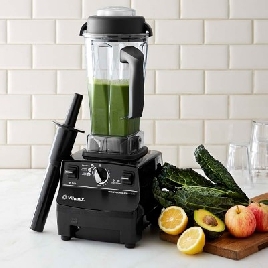 But pulverizing vegetables, seeds, nuts, frozen fruits, and ice is tough work, and you really want a blender that can handle those thicker ingredients. The cheaper blenders may not completely liquidize your drink, and there is also a risk of burning out the motor or even stripping the coupler. Over time, as you become more advanced in your blending, you’ll find that you become not only more adventurous with your ingredients, but also more of a smoothie aficionado – and then you might be ready to upgrade. It sounds like a funny thing to say, I know, but the fact is that an excellent blender can be life-changing. It can allow you to more easily make foods that might lessen inflammation. I would say that Vitamix is probably the winner. The manufacturer is very good about honoring the warranty (should anything happen to your blender) and Vitamix owners are generally very enthusiastic about their blenders. I encourage you to get the blender that matches your unique needs. I have a Vitamix and a Blendtec. I like the Blendtec carafe a bit better; on the other hand, I like the Vitamix lid a lot better (less likely to come off mid-blend). What size blender do you want? If you and your family are all having smoothies you probably want a huge one. Vitamix has an 8-cup carafe (the jug) which can easily be split four ways. Blendtec now has a 4-quart carafe size – that’s absolutely massive. If your household doesn’t have the same tastes (and what family does? ), then there is a Magic Bullet Blender with multiple smaller carafes allowing each family member to make their own smoothie without having to wait for the other to finish and wash up the carafe. The power of the motor and the sharpness of the blade are really important. Generally, the stronger the blender the more expensive it is, but it will save you time when your powerhouse of a blender can obliterate your veggies in 30 seconds. Though I personally prefer Vitamix (their warranty is amazing), Blendtec is another brand that is also famous for its strength, and for the funny video series ‘Will It Blend?’ which shows many “scientific” experiments where they check to see if things like a Justin Bieber doll or the latest iPad will blend (the answer is usually: yes). Be sure to check the other functions as a blender isn’t just for smoothies. They can do a variety of other things, so see which one suits your culinary likes (Vitamix, for instance, will heat-up if left on for a few minutes. This is a great way to make warm soup from scratch). A blender with a power-dial is great, as you can use it like a food processor on the lower settings. Refurbished: Consider talking to the manufacturer’s sales office to see if they offer refurbished models. These are models that have been returned to the store and then cleaned and checked over by the manufacturer. They are in excellent condition and you get a nice discount. They also come with the same warranty as a new model. By the way, for those of you who live near a Bed, Bath, & Beyond store, they usually have a solid selection of quality blenders – and a good return policy. You might even be able to use one of those coupons that they send out regularly in the mail. I was born in raised in California, so smoothies have been a part of my life for over half a century. However, it wasn’t until about fifteen years ago – when I began experimenting with taking the smoothie concept to the next level – that I realized just how transforming smoothies can be. To say that green smoothies have improved my life would be a masterpiece of understatement. My health is vastly improved – I feel younger, have more energy, look better (no more puffy, tired face), and at this exact moment, I have washboard abs. For some people, they can’t lose weight if they can’t have dessert because they won’t stick to the program. If you’re one of those people then it’s important to find a regimen that won’t leave you overly hungry. Because dieting can feel like deprivation, it can sometimes inspire a counter-response of binge-eating. However, by gradually substituting healthier treats for more traditional ones, you can, over time, wean yourself off of refined sugars and processed grains permanently, thereby lessening your inflammation. If you want to reduce inflammation as quickly as possible, you might consider doing what I did. I took three days off work, put a stack of novels next to my bed, and went cold-turkey – removing all fruit, grains, dairy, and caffeine all at once. It was an intense experience. I basically stayed in bed for most of the three days. Afterward, I began to feel increasingly better each day. 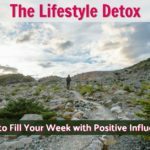 These recipes were helpful to me as I restored myself to stellar health. Today, I still usually have one freshly made green smoothie each day. I’ve been doing this so long that I no longer craves sweets like I used to (my taste buds gradually changed), so my smoothies now have almost no fruit at all. ➚ If you like, you can get my free new book “5 Best Smoothie Recipes for a High-Energy Lifestyle.” I’m only giving it away free for a limited time to my newsletter subscribers, so you might want to jump on that now while it’s still good. vegetables have an uncanny ability to help make the human body become stronger and shed belly fat – smoothies are a clever way to sneak more vegetables into your weekly menu. I encourage you to get a special, quality blender and find some great green smoothie recipes – and start experimenting with creating your own super meal. Share this article with your friends on social so they know what you’re up to.